85% of consumers give online reviews the same trust as personal recommendations. Yelp and Facebook are the most trusted review sites. The statistics above demonstrate that having a presence on a trusted review site, like Yelp, can attract customers. 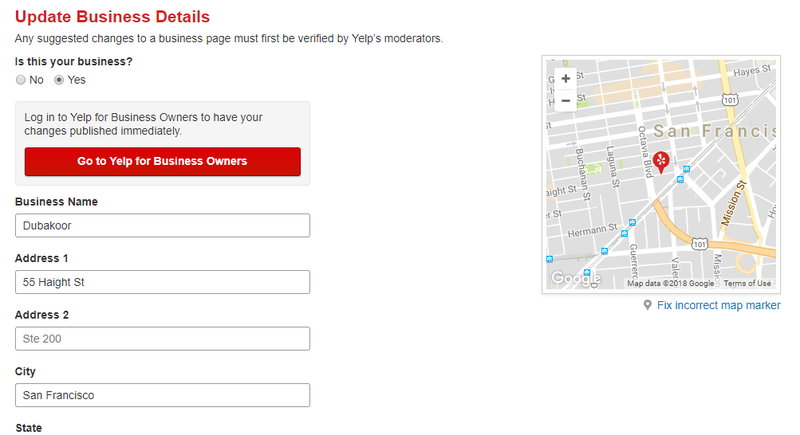 If you’re a business owner and are wondering “How do I add my business to Yelp?” the steps below will show you how. It may not be necessary to add a new listing for your business on Yelp because your business is already listed. If this is the case, all you’ll need to do is to “claim your business.” After you’ve claimed your business, you’ll be to able add more useful information to attract customers. Potential customers will get a better sense of your business with a complete profile. 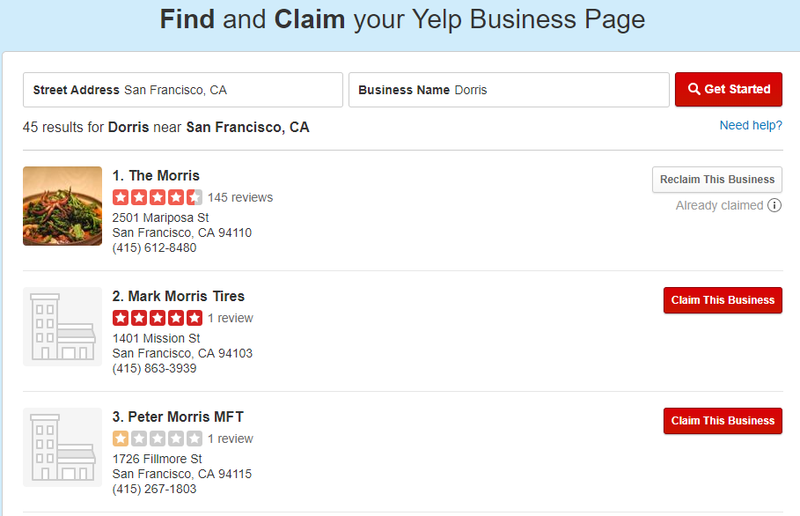 Find out if your business is already on Yelp by going to biz.yelp.com and entering your business name and address. 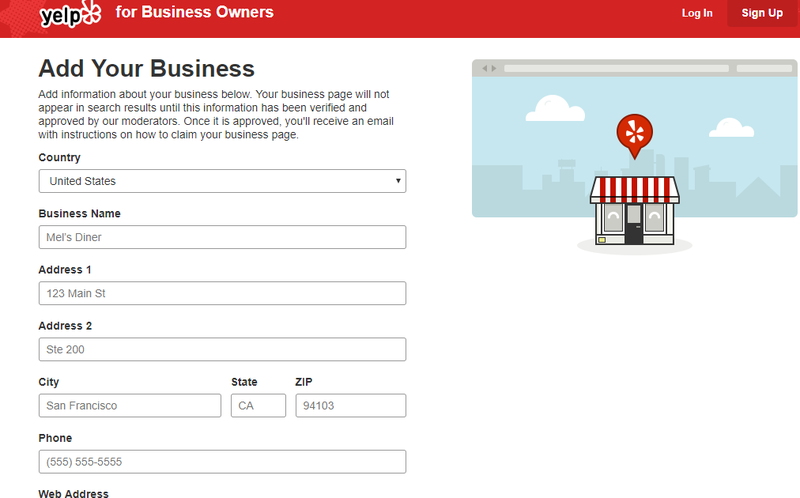 A ‘Claim your Business’ icon will be visible if your business is unclaimed. You’ll need to create a new business if it doesn’t show up in the search results. If your business appears on the list and it’s unclaimed, select ‘Claim your Business.’ Your email address is required to complete this process. After you’ve submitted your email address, Yelp will make an automated call to the number on the listing. Contact Yelp to change the number if the number on the listing is incorrect. Yelp will email you when they’ve verified your business. After the business claim process is complete, you’re free to change information in your business profile. What happens if you don’t see your business on the list? You’ll need to add your business to the Add Your Business page. Complete all of the requested information and choose the ‘add business’ option at the bottom of the page. After you’ve received verification and approval of your business from Yelp, your business will start to show up in the search results. You can then start to fill in the information requested to complete your profile. 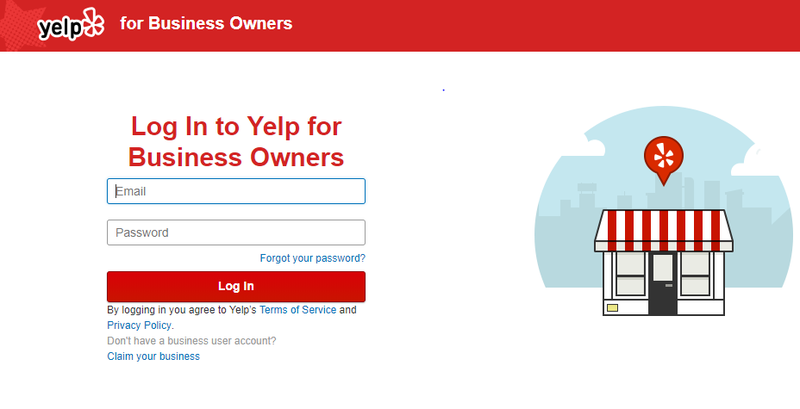 Use your email and password to log in to Yelp For Business Owners to complete your profile. You can start to change and add information in the ‘Basic Information’ section. This section enables you to change fundamental information, like your business name. Under the ‘Additional Information’ section, you can include information about different services your business offers – for example, whether you accept credit cards, or provide WiFi. If your business doesn’t offer some of the facilities or services listed, always choose no. Giving no answer makes it appear as if you haven’t fully completed the section. Include your business opening hours in this section. Indicate the days that your business is closed by choosing the applicable options. If your business will be closed on a temporary basis, you can inform your customers by completing an ‘Update Business Details’ form and selecting the ‘temporary closed’ option at the bottom of the form. While brainstorming your keyword list, think about the wording used in restaurant ads that serve similar food to you. After you’ve come up with your list of keywords, use them in the specialties section. Be sure to also include a list of all the food you serve in this section. The history section is where you can tell the story of your business. Use this section to give customers an insight into the values and purpose of your business. It would be useful to tell a story of how your business was founded. Telling a story to describe your business history helps you to form a connection with consumers. Use this section to build on the business history information. You can describe yourself with a short bio. Add some personality to be more relatable to your audience. You can also upload a profile picture in this section. To complete this section, choose up to five businesses that you want to recommend. 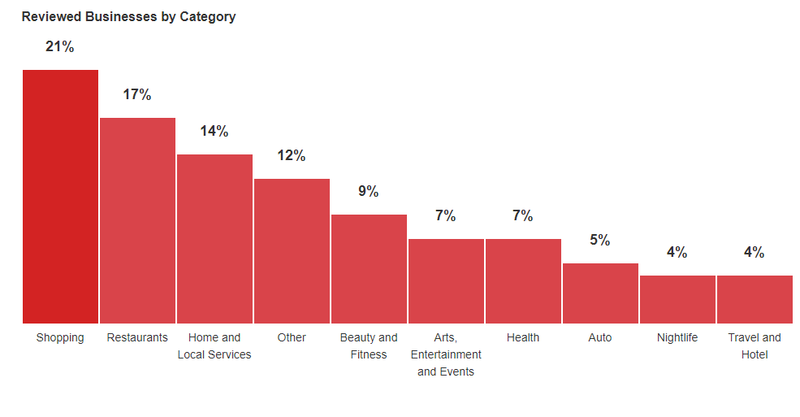 According to Yelp’s blog, consumers who search for a local business on Yelp spend two and a half times more time on a business page with images in comparison to pages without photos. Visual social media platforms, like Instagram, have exploded since Yelp was founded. Customers now expect to see visuals of businesses. The popularity of images is good news for businesses, especially if you operate a restaurant. Adding images of your dishes is the perfect informal restaurant ad. To add images, choose ‘Photos’ and drag and drop or select photos from your computer. The photos should show your business in the best light – for example, if you run a boutique hotel, use photos that show the unique aspects of your hotel. Yelp is a review site, so it’s obvious that businesses with a high number of positive reviews will benefit the most from the platform. Customers will read reviews to decide whether to have further interaction with your business. Therefore, the reviews on your Yelp business page are the most crucial part of your listing. The reviewer’s account should be set up before the review is left. The profile needs to be complete, including links to social media accounts. The reviewer should be located near your business. The reviewer must have left multiple reviews. The reviewer’s reviews need to be balanced. Display your best Yelp reviews in an obvious place in your business to encourage customers to also leave reviews. Have a Yelp badge on your website that takes customers straight to your Yelp profile. Ask customers who have left positive reviews on other places, like Facebook, to also leave a review on Yelp. Email your list to let them know you’re on Yelp and how they can help you out. Customers appreciate responses from business owners after they have taken the time to leave a review. Make the effort to respond to every review that has been left on your Yelp page. This should especially be the case for negative reviews. If someone has indicated that they’re unhappy with some aspect of your business, you should take the opportunity to respond and manage the situation. Avoid being defensive in your response and try to reassure the customer that you’ll do better. As you’re unable to edit or delete reviews, how you handle negative reviews will say a lot about how you run your business. Negative reviews on your Yelp page don’t have to be detrimental to your business. What really matters is that you show the customer that you’re responsive and really care about improving the aspect of your business that has been complained about. If you’ve added a restaurant to Yelp, you should take the opportunity to learn about their restaurant management tool and also their restaurant ads. 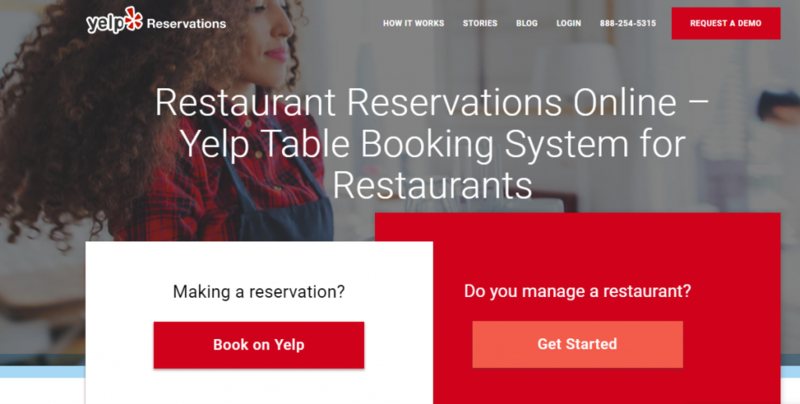 With 92% of consumers making a purchase after searching Yelp for a restaurant, the tools provide some of the functionality to help manage your restaurant more efficiently – for example, allowing you to take online reservations and also manage tables. To get started, go to Yelp Reservations. Although Yelp provides a table management function for your restaurant, their solution doesn’t incorporate workforce management. If you’re looking for a tool that will help you to schedule your restaurant staff with features like Auto-Scheduling and tasking, book a demo with Deputy to see how it can complement your table management solution. If you have an average 3-star rating and are eligible according to Yelp’s terms and conditions, why not consider advertising your restaurant on Yelp? Your restaurant will be featured when customers search for similar restaurants. In order to increase the likelihood of success for your restaurant ads on Yelp, completely fill in your profile and try to keep a high review score. If you have an incomplete profile and a low review score, customers may not visit your business even if they see your advert. If you’re satisfied with your reviews and your profile, restaurant ads on Yelp could be a good way to get your restaurant more visibility. You get charged every time someone clicks on your restaurant’s ad. The cost per click varies according to factors such as competitors and search term relevance. To assess how your listing and restaurant ads are performing, Yelp provides analytics that gives you insights into customers’ behavior. You’ll be able to find out important metrics, such as when you receive the most traffic. To add your business to Yelp, you need to take the time to plan how you’ll make the most out of your profile to increase the chances of being found in the organic search. You also need to be proactive in seeking and managing reviews. The more effort and time you put into maintaining your Yelp account, the more likely you’ll experience success on the platform. You also have the option of taking out restaurant ads if you feel like your business needs a boost in visibility. The post How to add a business to Yelp appeared first on Deputy.